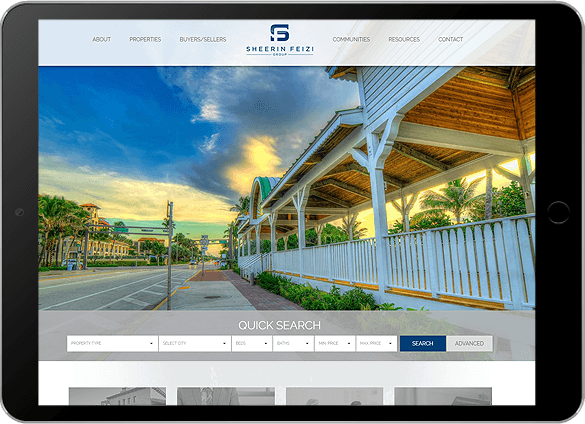 Capturing your gaze with beautiful location photography and a soothing blue color scheme, the Sheerin Feizi Group invites you to explore South Florida’s luxury communities on its website. 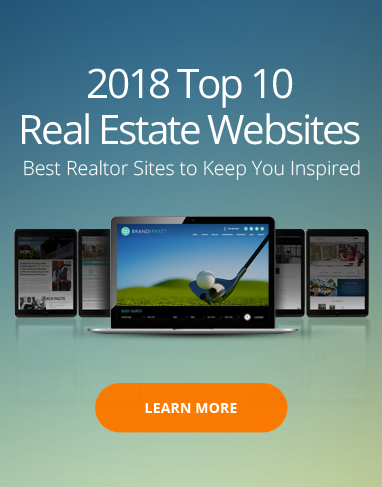 Navigating the top choices for Delray Beach, Boca Raton, and Boynton Beach real estate is a breeze, thanks to the site’s tidy layouts and versatile selection of buyer- and seller-friendly resources. 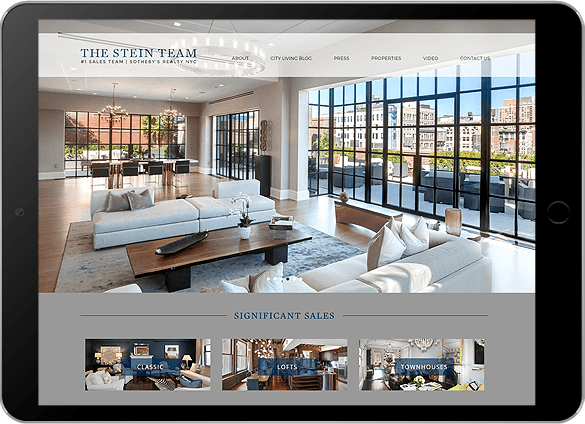 Everything about The Stein Team’s SteinNewYork.com website embodies modern luxury. 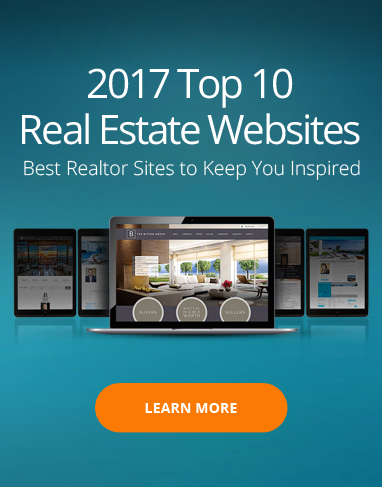 The homepage alone treats users to a showcase of exquisite property photos; a showcase of classic estates, townhomes, and loft options; and a selection of featured global properties. 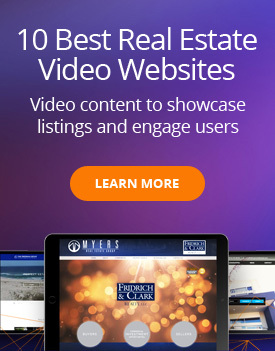 Further inside, one can find even more rich content, which includesengaging video property tours and a carefully curated monthly “City Living” blog. 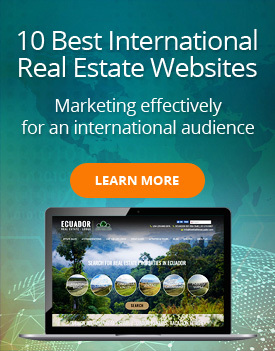 Representing the North and South Carolina markets, Denis Arnautovic’s real estate website is elegant and straightforward. 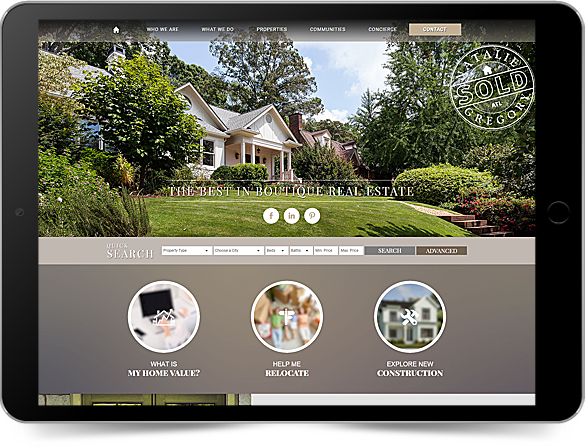 The white background and clean grid layouts make navigation easy, whether you are looking to buy, sell, or invest in homes in Charlotte and its neighboring communities.On top of solid design, AccessCarolinas.com’s IDX features deliver wide-ranging and relevant listings results at all times. 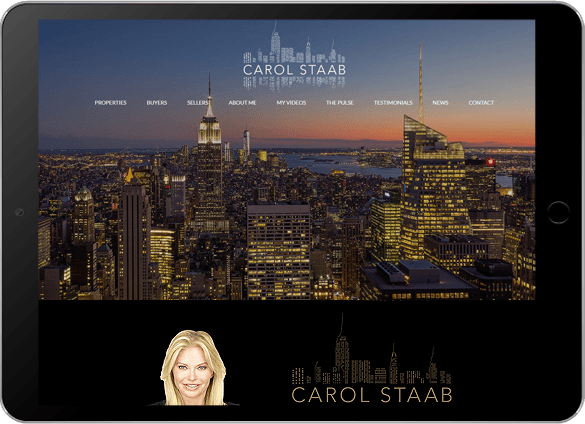 One look at Carol Staab’s real estate website and you’ll know that she represents the elegance and sophistication of living in the big city. The Manhattan evening skyline provides a dazzling backdrop to the homepage’s minimalist presentation. 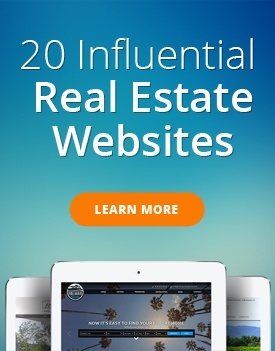 But don’t be misled; the site is loaded with comprehensive and up-to-date resources, including video features on Manhattan neighborhoods, market reports, and Carol’s exclusive listings. Cool blues, dynamic visuals, and unconventional layouts dominate Chris Ryder’s website. It’s a great look that matches the energy of the City of Angels. 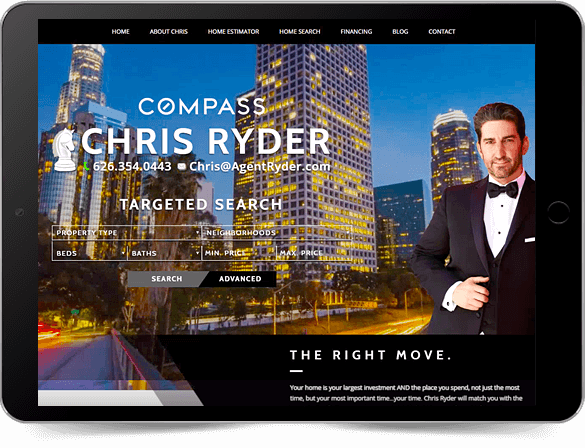 Abundant real estate features provide users with versatile references and tools to navigate and understand the LA real estate market. Bold typefaces and icons are used all throughout the site – a confident presentation well-suited for a confident city. 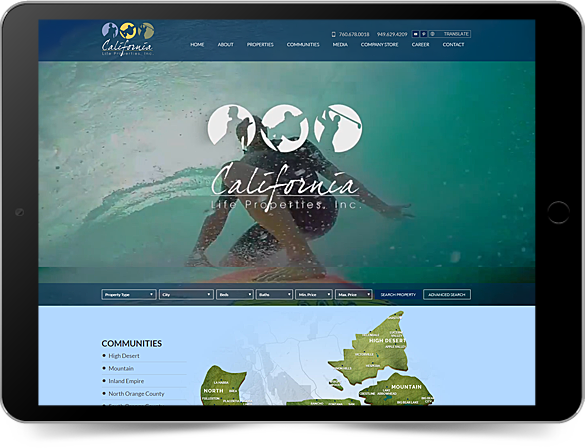 CaliforniaLifeProperties.com captures all the excitement and wonder of Southern California living on its home video wall, from sunny rounds of golf, to thrilling rides atop snow-capped mountains or on 20-foot-tall waves. 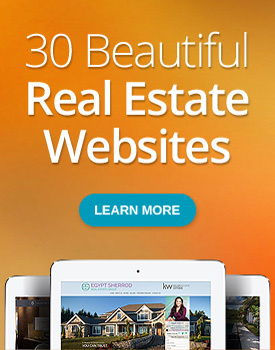 Beyond that rousing welcome, an even richer experience awaits real estate customers. 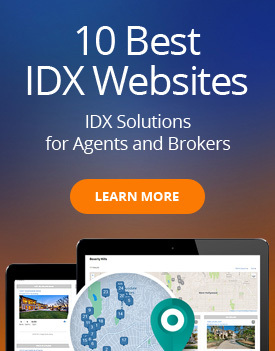 Intuitive IDX and search tools are delivered in a relaxed layout crowned with stylized top-banner images. With its muted gold-and-gray color scheme, sparse use of serif typefaces, and a captivating slideshow of suburban Atlanta home façades and interiors, NatalieGregorySold.com evokes an air of unassuming sophistication. Site elements are laid out in a casual, horizontal spread with generous use of negative space, lending to a relaxed reading experience. 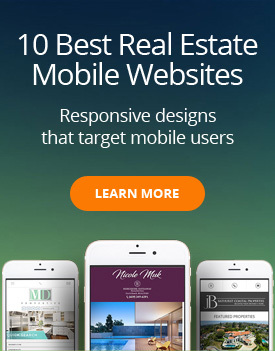 It’s a fitting look for Natalie’s luxury real estate services. Jeremy Roberts’s website does “less is more” well. 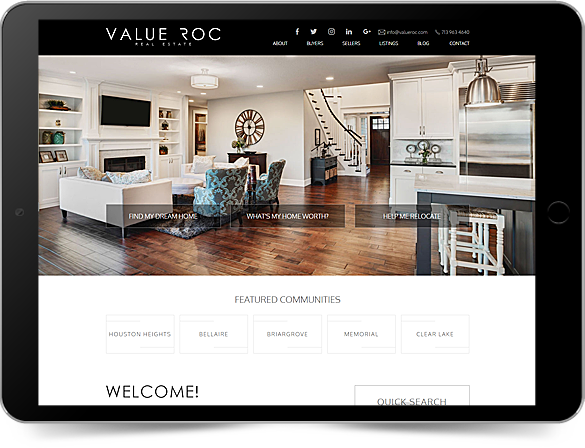 Below an edge-to-edge image showcase of elegant living spaces is a clean, white-to-light-gray theme that carries over into the site’s inner pages. Crisp and easy on the eyes, content is a joy to read. 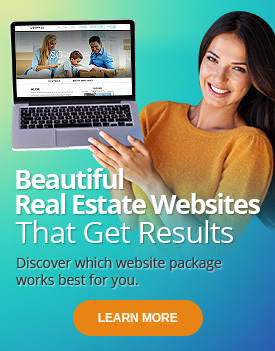 Users interested in Houston, TX real estate have plenty of material to digest, from comprehensive property search functions, to home selling tools and guides. Sunny city? 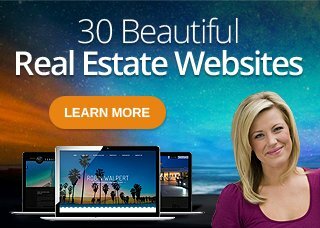 Sunny website! 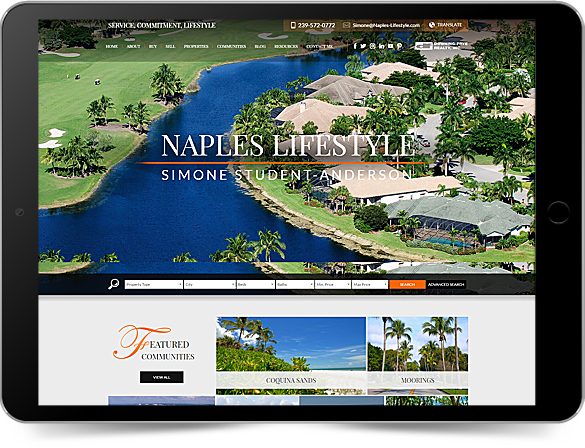 The essence of sun-showered Naples shines through on Simone Student-Anderson’s Naples-Lifestyle.com, from its bright, full-page image slider, to the orange highlights that effortlessly pop from the white and gray backgrounds. Stunning aerial photography, modern geometric layouts, and subtle serif type reflect the sophistication of this upscale Southwest Florida locale. 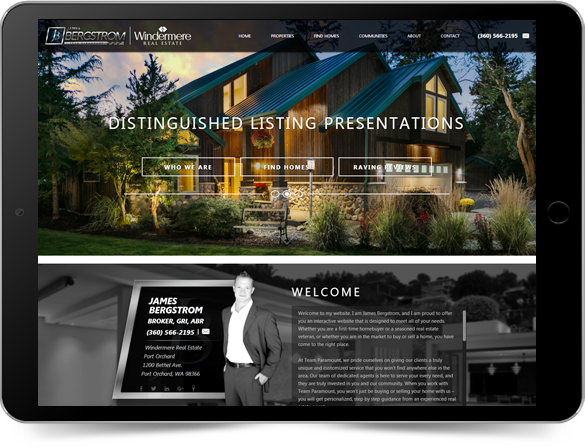 James Bergstrom’s real estate website owns a unique sheen – with dramatic property and location images transitioning from monochromatic to bright colors on its homepage slideshow. 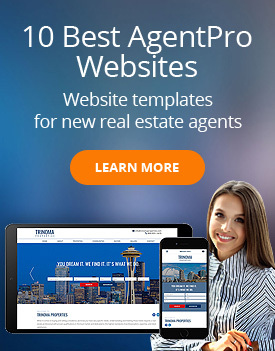 It’s a distinctive aesthetic that suits James’s cool, secret agent-themed take on the real estate business. Scroll down on the main page to find a rotating selection of highlight properties, followed by a collage of image tiles showcasing his featured communities. 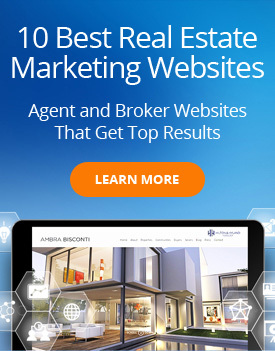 First-time visitors on this site will easily be convinced to become new clients with the proud display of numbers that describe James’s top-producer accomplishments through the years.